Interestingly enough, there was potential “doom and gloom” on the horizon as spelled out by some analysts late last year in light of the Federal Reserve’s decision to finally raise the rate they charge lenders to borrow money. You’d think then, that mortgage rates would instantly rise as a result, right? Wrong! In fact, 2016 has begun with home loan interest rates once again hovering near record lows. Having dropped below 4 percent, home owners, buyers, and sellers are taking advantage of what may be an “extended reprieve” from rising rates. To be clear, interest rates are not governed by much more complex items than just the Fed raising their prices a quarter percent. The economy and the stock market also play a role in where rates land on any given day, just like any other traded commodity of perceived value. Take advantage of market conditions now! Will interest rates remain this low forever? One never knows. However if you’ve been on the fence about buying a home, you may wish to reconsider and take advantage of the conditions that will provide you with more purchasing power. 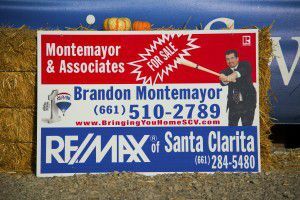 Montemayor & Associates are a team of full service, licensed, experienced real estate agents who will make sure you have reached all of your real estate goals.